Hog Hollow Horse Trails offers magnificent views over the mountains, forest and ocean, whilst riding amongst wildlife through grassy fields, indigenous fynbos, local vineyards and along old woodcutters’ forest trails to attractions in the area. 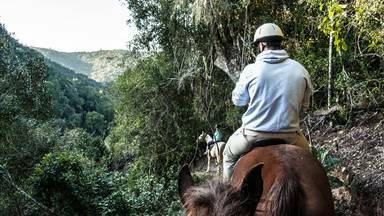 Experience the Tsitsikamma on horseback. 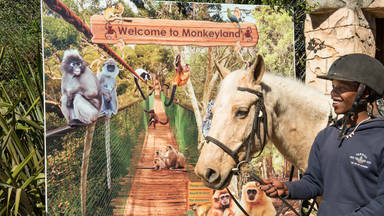 Hog Hollow Horse Trails is located just outside Plettenberg Bay in the Crags.